Sugar. It’s the sweetness in our celebrations and the scourge of society. It’s hard to know how to strike a balance that is healthy and delicious. 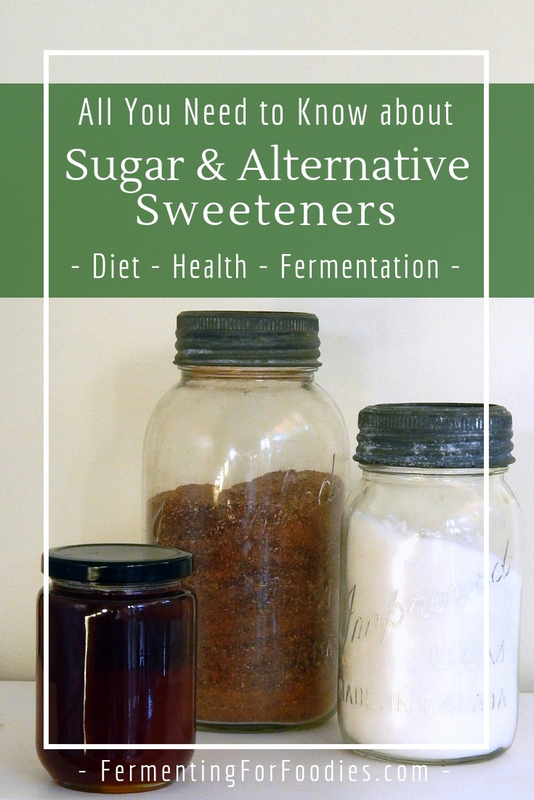 Here’s everything you need to know about sugar and other types of sweeteners, so that you can make the BEST choice for your diet. Weight Loss Diets: Most weight loss diets involve carb restrictions, in particular white sugar and other high-calorie sweeteners. Food Intolerance: There are a number of sugar-related food intolerances, due to low or absent digestive enzymes. Lactose intolerance and CSID (sucrose and isomaltase intolerance) are two such examples. Glycemic Index: Glycemic index (GI) is the rise in blood sugar levels two hours after eating. GI is affected by the sugar, fat and protein of a meal. GI is important losing weight, and controlling diabetes or hyperglycemia. 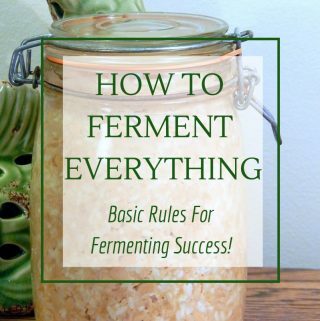 Fermentation: Most fermentation involves the break down of carbohydrates. 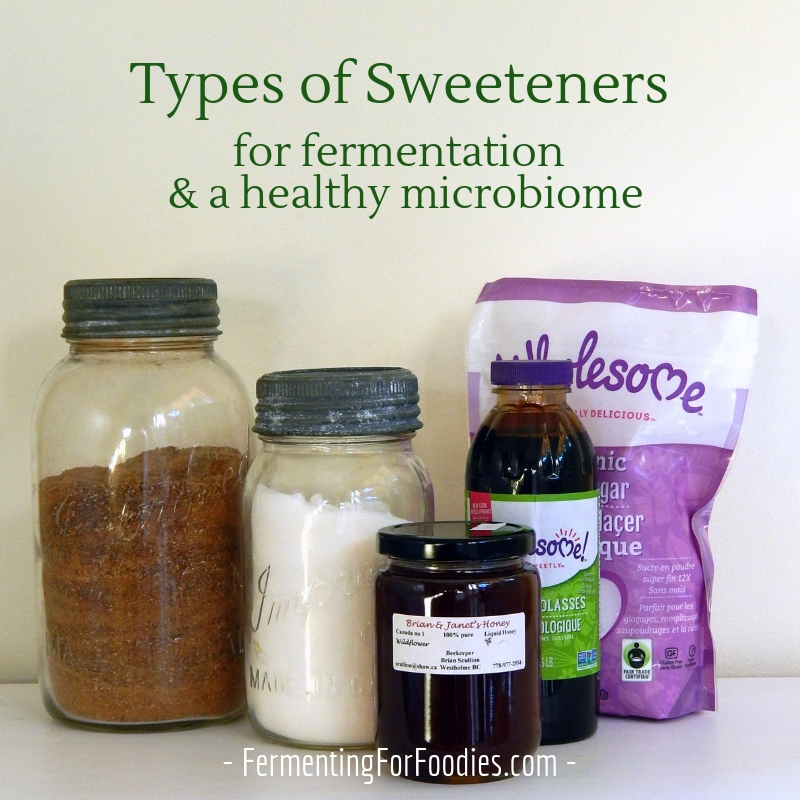 It’s important to use the right type of sugar to feed the probiotic culture. Microbiome: A microbiome is all the tiny micro organisms that live on your body. The type of sugar will affect the composition of your microbiome and your microbiome will affect your sugar cravings. Glucose is the type of sugar that our body uses for energy. When we eat glucose containing foods we get a “sugar high.” Our blood sugar levels increase, until insulin is released by the body to move the glucose from the bloodstream to our cells. The glycemic index measures how quickly the carbohydrates break down into glucose. Simple carbs like white bread and white rice will break down more quickly than complex whole grains. Sucrose is a mix of 50/50 of glucose and fructose. 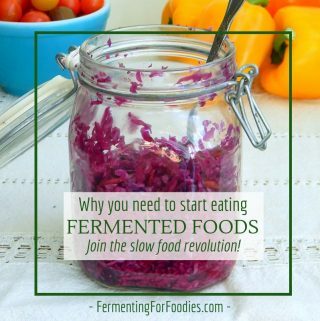 This is broken down during fermentation (or in the body) into glucose and fructose. Honey and dates are also around a 50/50 mix of glucose and fructose, however, the glucose and fructose are not in the form of sucrose. Sugar alcohols are sweeteners that are not absorbed by the body. Since they enter the intestine undigested, consuming too many sugar alcohols will upset the balance of your gut bacteria, and may cause diarrhea and other digestive problems. As a proponent of a healthy Microbiome Diet, I do not recommend using sugar alcohols as an alternative sweetener. There are number of zero calorie sweeteners that provide sweetness, while not containing any nutrient sugars. There are both natural and chemical non-nutrient sweeteners. This seems like an ideal option for anyone with a sweet-tooth who is looking to loose weight. However, zero calorie sweeteners DO NOT HELP WITH WEIGHT LOSS. If that seems a bit extreme, unfortunately, there’s plenty of research linking zero-cal sweeteners to weight gain. One of the issues is that zero calorie sweeteners cause us to lose our natural ability to link eating with feelings of fullness. So zero calorie sweeteners can actually cause over-eating in the long-run. If you want to kick your sweet-tooth, then you are better off following a microbiome diet, as your gut bacteria can help to dictate food preferences, particularly in regards to sugar. So many weight-loss diets involve carb and sugar restrictions. Reducing sugar intake is also a great way to balance the yeasts and bacteria in your digestive system to improve the health of your microbiome. While it is tempting to replace sugar with sugar alcohols or zero-calorie sweeteners, these will not help in the long run. If you have a sweet-tooth and want to try reducing your intake of sugars reach for naturally sweet fruits and vegetables. It is far better in the long run to eat a whole strawberry then add stevia to a low calorie baked good. Even fruits and vegetables that are high in “sugars” will still contain fiber, vitamins and antioxidants. If you really need sugar for baking, then I recommend using dates. Dates are about 63% glucose/fructose, but mixed into a baked good they won’t provide as high hit of sugar. 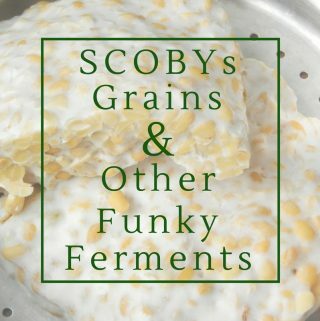 For any of these ferments you will need to use a high sucrose sweetener to feed the bacterial and yeast culture. 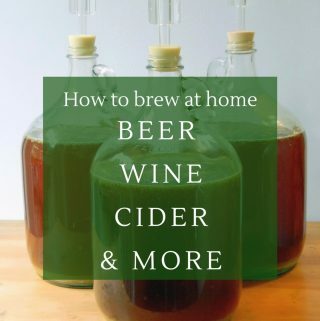 However, the sugar is consumed during the fermentation, so there will be less and less sugar the longer the fermentation takes place.